It’s the perfect beginner’s alternative to surfing. Here, the top warm-weather destinations in the United States and internationally for trying it out. IN THE 1960S, surfing instructors in Hawaii discovered a great way to increase tips: While their tourist-students lay prone on boards trying to catch waves, the instructors would hang cameras on their necks, stand upright on surfboards, and use long canoe paddles to maneuver out to take photos of clients in the surf, creating the perfect souvenir. “Stand-up paddling,” as this mode of transit became known, remained a surf culture oddity until about 10 years ago, when a handful of professional surfers began using the technique to train. In the past few years, the sport has spread beyond surfers — and become wildly popular. “Everyone has a fantasy to be a surfer, [and] stand-up paddling makes it easier,” says Rob Casey, author of Stand Up Paddling: Flatwater to Surf and Rivers and an instructor in Washington state. “The learning curve is relatively easy and gear requirements are minimal.” And while stand-up boards are more expensive than kayaks — beginner boards, which are wider and heavier than traditional surfboards, start at around $700 — Casey says they’re easier to store and carry and provide better exercise, particularly for the core muscles. To find out whether stand-up paddling is as easy as advertised, in mid-September I signed up for a private lesson at Charles River Canoe & Kayak (617-965-5110, paddleboston.com), located just next to the Newton Marriott. “I’ve given lessons to people from 4 years old to 70 years old, and I’ve never had someone not be able to stand up,” instructor Dan Cox told me, as he helped me into a life jacket. After a quick dockside intro to the equipment and basic techniques, Cox had me kneel on the board, paddle a few yards into the river, and creep up into a standing position. (Yes, it’s really that simple: Beginner boards are designed to be super stable.) For 90 minutes Cox showed me different stroke techniques. I’d worn a swimsuit and had dreaded the thought of plunging into the Charles on a cool fall day, but I stayed upright and dry through the lesson. Part of the sport’s popularity comes from the fact that, unlike surfing, you can do it nearly anywhere: Rivers, lakes, and oceans all make suitable grounds for “SUP,” the acronym by which the sport has become known. But as fall gives way to winter and the Charles turns icy, it’s tempting to find a more hospitable climate for paddling. Here are five experts’ picks on the best places to stand-up paddle. 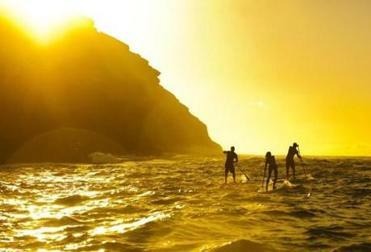 Several prime spots for stand-up paddle boarding can be found on Oahu, the third largest Hawaiian island. 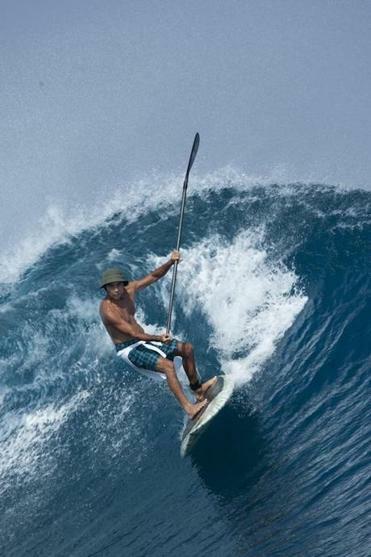 Reid Inouye is the publisher of Standup Paddle Magazine. He grew up in Oahu, Hawaii, where his son, Matt, runs a paddle board training company. 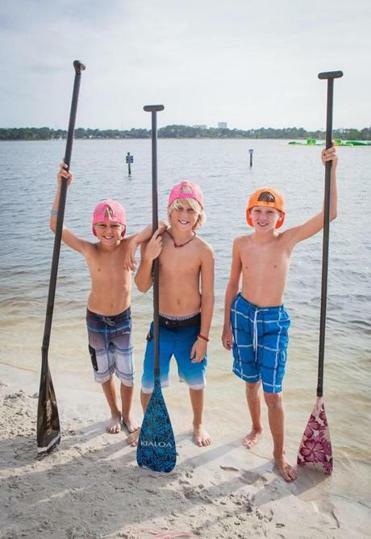 Part of the sport’s popularity comes from the fact that, unlike surfing, you can do stand-up paddle boarding nearly anywhere: Rivers, lakes, or oceans all make suitable grounds for “SUP,” the acronym by which the sport has become known. But as fall gives way to winter and the Charles River turns icy, it’s tempting to find a more hospitable climate for paddling. Here are five experts’ picks on the best places to stand-up paddle. 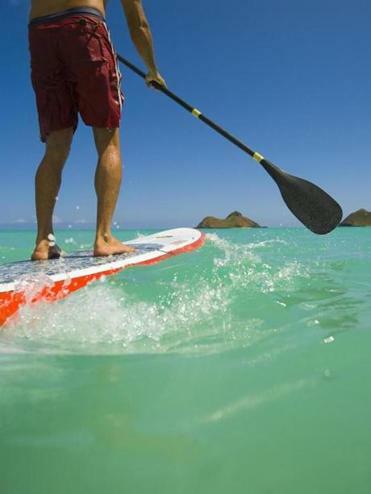 Big Blue unlimited offers stand-up paddle boarding lessons on Providenciales, Turks and Caicos. The big-wave surfing of Dave Kalama, a pro wind-surfer, was featured in the opening scenes of the James Bond film Die Another Day. Along with surfer Laird Hamilton, Kalama stand-up paddled the entire chain of the Hawaiian Islands, a distance he estimates at 250 miles. Champion surfer Gerry Lopez shows a more advanced move in Punta Mita, Mexico. In the 1990s, native Hawaiian Dave Chun launched a company called Kialoa, making outrigger-canoe paddles in Bend, Oregon. In 2003, Laird Hamilton asked him to create an extra-long one for use while stand-up paddling. 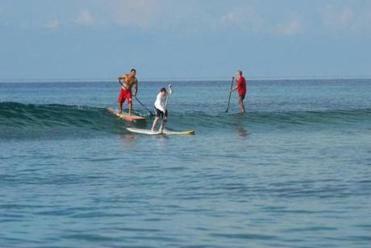 Today, Kialoa manufactures some of the industry’s best SUP paddles. Jeff Archer first tried stand-up paddling in 2005 and quickly decided to make it his career. He’s a cofounder of Yolo Boards, one of the industry’s most successful equipment makers. He recommends several spots on the Florida Panhandle, just west of Panama City. 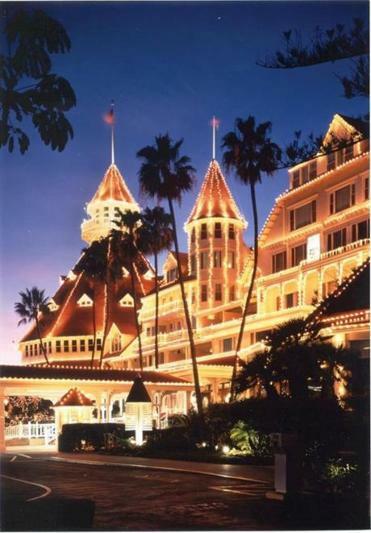 The Hotel Del Coronado has prime waterfront. 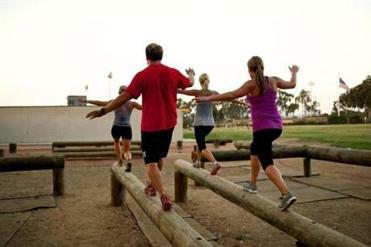 Brody Welte is a longtime waterman, a certified personal trainer, and the founder of Stand Up Fitness, a San Diego business that teaches people to incorporate stand-up paddling into a full-body workout. He touts his adopted hometown as one of the best paddling hot spots in the mainland United States. Daniel McGinn is a senior editor at Harvard Business Review and frequent travel writer. Send comments to magazine@globe.com.